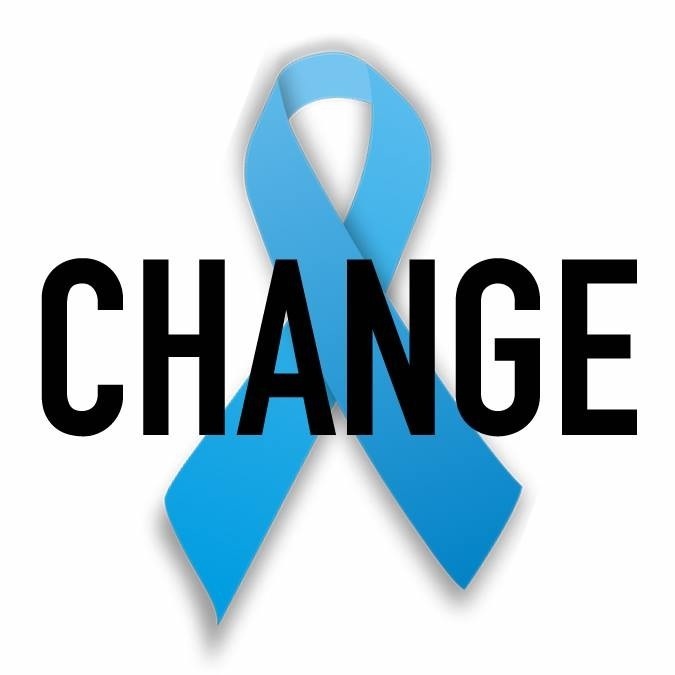 In observance of Thyroid Awareness Month, I am pleased to introduce and support ThyroidChange, a nonprofit organization, which began in 2012 by a thyroid patient looking for answers and options amongst the medical community. As a thyroid patient for about two years now I’ve learned firsthand that you must advocate for yourself. You may trust your doctor, but as a patient, you know your body best. If something doesn’t feel right, you must speak up. Ever since being diagnosed with subclinal hypothyroidism in 2013, and thyroid cancer shortly thereafter, I have spent the better part of two years educating myself on all things related to thyroid health. Looking back on it now, I was always fatigued and lethargic, yet never had any thyroid labs run. Even my diagnosis in 2013 was a fluke. I had gone to my gynecologist for my annual exam, with no particular symptoms, and happened to ask for blood work to be done. He took the extra few minutes to perform a neck check, and discovered a nodule on the right lobe of my thyroid. Since then, I’ve undergone a thyroidectomy and have resigned myself to living the rest of my life on Synthroid. Through my blog and social media, I have met amazing thyroid advocates on Twitter who work tirelessly to spread knowledge to other undiagnosed and newly diagnosed thyroid patients. For them and their efforts, I am most grateful. Recently I had the opportunity to learn more about ThyroidChange and their physician-patient centered approach. Their goals are simple and straightforward — to improve the lives of thyroid patients by providing access to information, and offering better testing and treatment options. Unfortunately, many endocrinologists rely solely on the numbers, and they base dosage decisions around where the patients’ Thyroid Stimulating Hormone (TSH) levels fall — instead of how the patient feels on a certain dose, or how they might see an improvement with a different form of thyroid replacement. The primary mission of ThyroidChange is to create a standard of treatment for all thyroid patients, which includes a full thyroid panel (Free T3, Reverse T3, Free T4, TSH, and thyroid antibodies). ThyroidChange would like Free T3 and Free T4 values to play a greater role in the treatment process, while putting less emphasis on the TSH values, and advocates for more thyroid hormone replacement options to be available. This approach I wholeheartedly support, after my dosage was constantly being changed, irrespective of how I told my doctor I was feeling. His answer was always that my TSH levels were not quite low enough and my Synthroid dose needed to be increased. Despite my resistance, my dosage has been increased three times since my surgery, yet I detect no improvement in my energy levels. Doctors should look at the whole spectrum of thyroid indicators and take into consideration patients’ concerns and their overall condition. Offering more thyroid replacement options and allowing a patient to switch medicines more easily will enhance the relationship between patients and their endocrinologists. ThyroidChange has created a petition entitled Endocrinologists: Patients with Thyroid Disfunction Demand Better Care, which to date has 28,520 supporters. (As an aside, within 24 hours of its introduction, it had already received over 200 signatures!) The thyroid community is clearly frustrated with the current status quo and wants change that will improve the lives of those living with a thyroid condition. It is a lifelong battle and the only hope for improvement is with daily medicine (in most cases) and the care of an endocrinologist. Only when the doctor-patient relationship is improved will patients see noticeable changes in their treatment — and a significant improvement in their health. I urge anyone seeking information on general thyroid health, tests, and treatment to visit ThyroidChange and sign the petition. I am proud to support this worthy organization that has done so much to improve the lives of thyroid patients all around the world. Vanessa, what a great post! Thank you for sharing information about this wonderful organization. You truly are an inspirational voice in the thyroid community. Vanessa, thank you for sharing your story. My daughter, who is 12, was diagnosed with hypothyroidism last year and has been on Synthroid ever since. The endocronoligist says she may be on it indefinitely which has me concerned. I agree that better education and an improved dialogue between doctor and patient would be a step in the right direction!